All six pairs of sunglasses for Singletracks’ testing. Photo by Matt Miller. We’re in the midst of peak sun season and it’s important to know which glasses are going to hold up the best on the trail. Sure, it’s easy to grab a pair of eight-dollar sunglasses at the gas station on the way to the trailhead, but how well do those ever hold up? They’re uncomfortable, the lenses are poor quality, and who knows how long they’ll last. 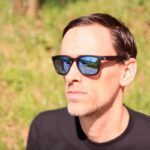 I tested six pairs of performance-oriented mountain bike sunglasses this summer and here’s what I found. While all of these glasses are designed to look good, their primary purpose is to keep eyes comfortable and protected on the bike. 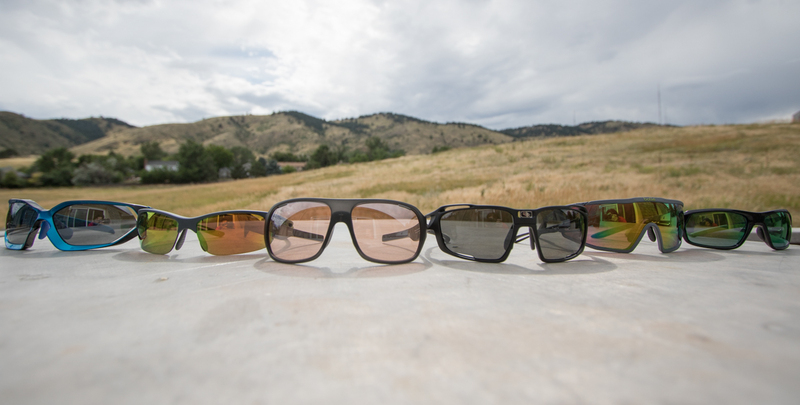 If you’re in the market for shades to make you look even better, check out this list. 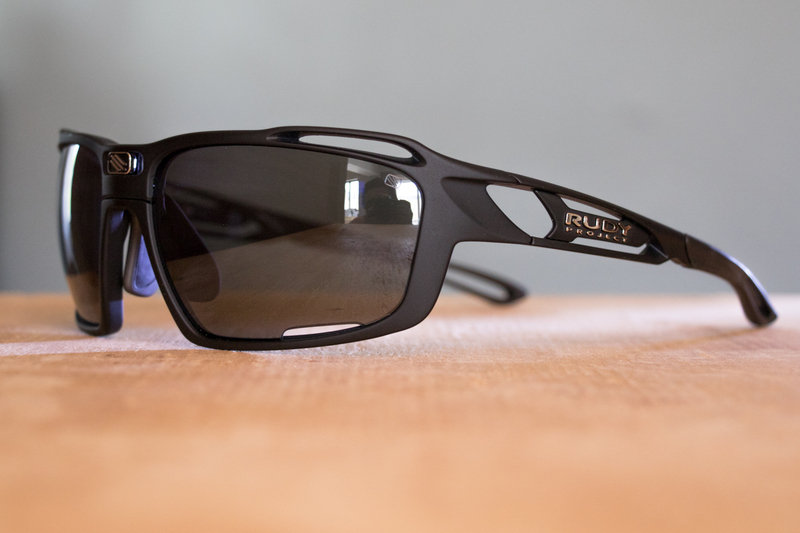 The Rudy Project Sintryx sunglasses are the most costly of the group, but they also tout the most features. They’re the most vented, with a lens vent, a vent on the nose bridge, and vents on the frame above the lenses. Even the temples are vented almost all the way down. 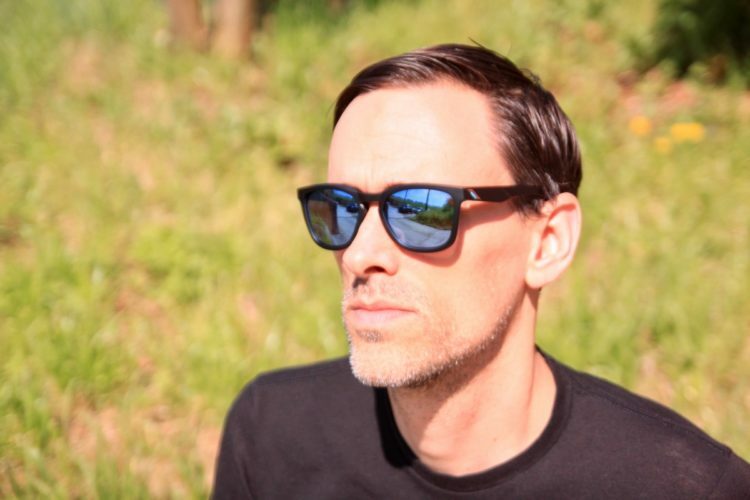 The Sintryx shades have a button on the nose bridge that opens up the frame to easily swap the lenses. 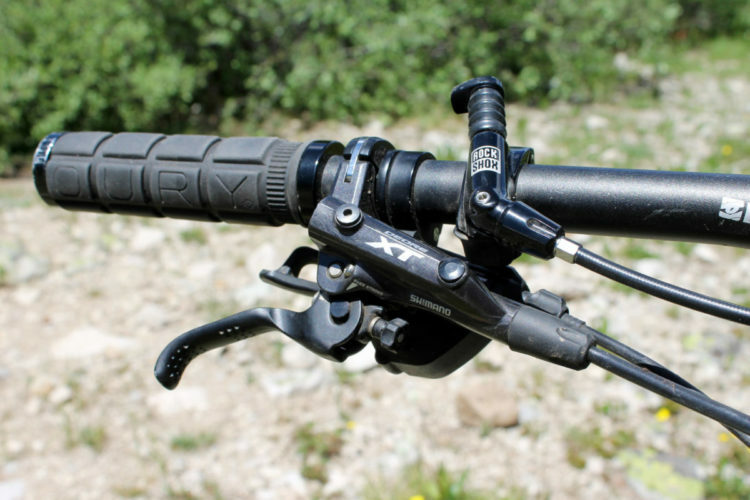 The Rudy Project Sintryx. Photo by Matt Miller. 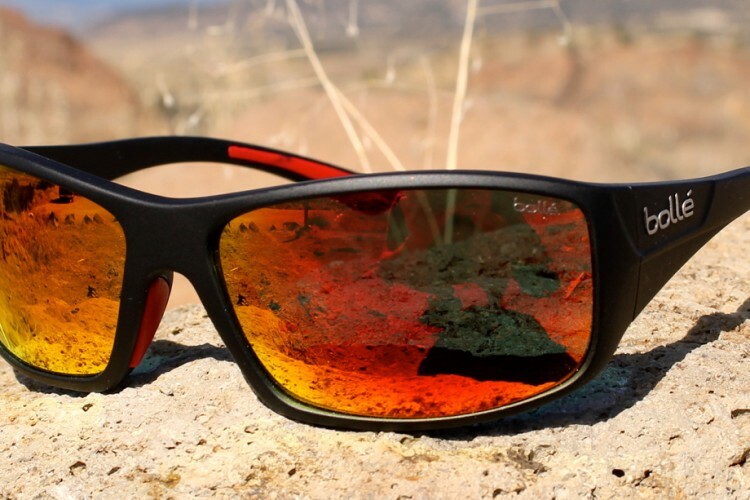 The Sintryx sunglasses feel very light on the face, and don’t press on the contact points too much. The adjustable nose piece is easy to open or close and fit to your face, and the temples are also adjustable, so if they feel too tight, just pull them open a bit more. 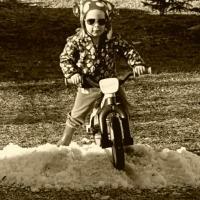 As one would expect from their appearance, the Sintryx sunglasses vented well on my rides. I never felt sweat building up under the contact points. The polar 3FX lenses definitely cut down the brightness of the sun during my 3pm Colorado rides. They were one of my favorite pairs out of the group, although the price might be more than some people want to spend. 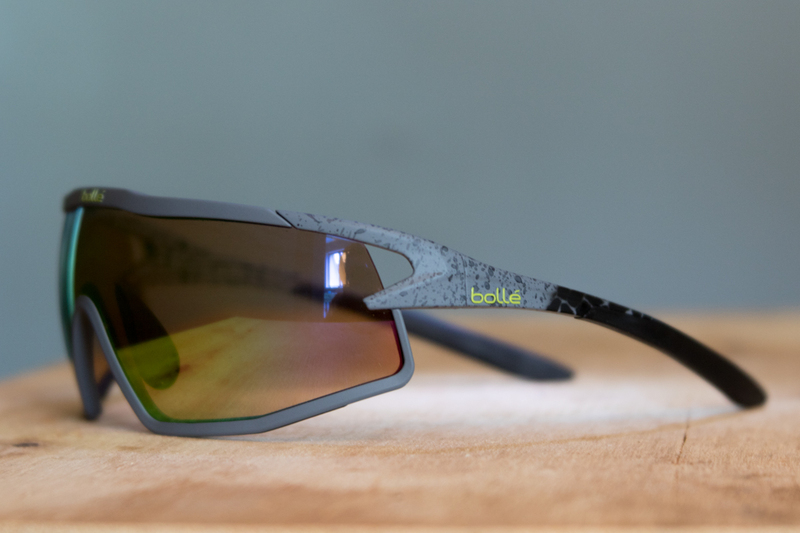 The Bolle B-Rocks will probably be the most polarizing (get it?) sunglasses in this group in terms of design, with their single lens, aggressive look. They come with the same adjustable nose piece as the Bolt S which is included below. There is a single vent on each side of the one-piece lens, and although the venting is minimal, the two vents let a lot of air in. To swap the lens, you need to basically take the frame apart, but the process is pretty simple and doesn’t take a lot of force. The Bolle B-Rocks. Photo by Matt Miller. The B-Rocks fit very well on my face and stayed solid after a lot of movement without feeling too tight. I love the field of vision and peripherals on the B-Rocks. It’s wide open and unobstructive. I didn’t feel any sweat buildup under the nose piece or on my temples. Even on a long, seven hour ride, they stayed planted and never got sweaty. I appreciated them most at high speeds, where I found the venting to offer a good balance between keeping the lenses fog free, while still protecting my eyes from watering in the wind. POC’s Do Flows are maybe the most fashion-forward pair of glasses in the bunch. 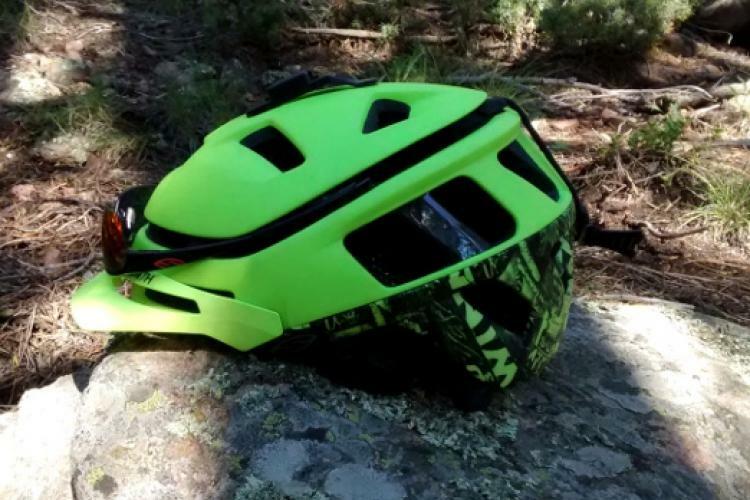 The Swedish brand got their start making snow sports products in 2005, but found a strong market in cycling and mountain biking once they started to make bike-specific glasses, pads, helmets, and apparel. The POC Do Flows. Photo by Matt Miller. 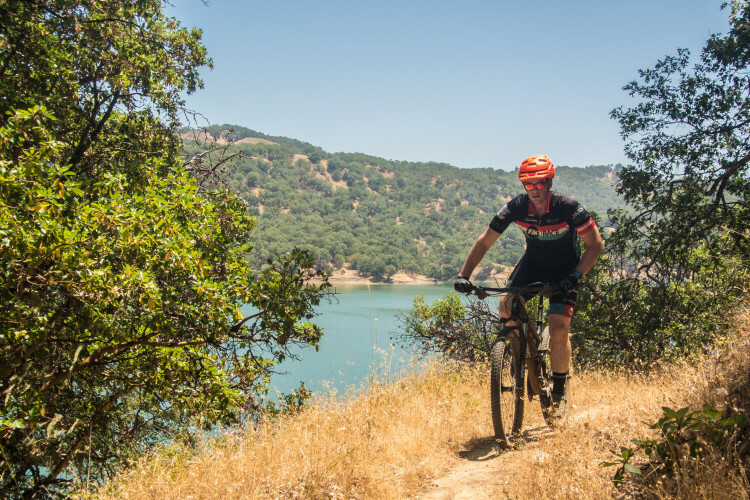 The Do Flows are made of an impact-resistant Grilamid material and the single-vented lenses are designed to increase contrast of objects on the trail to help riders avoid hitting rocks and other wheel-bending objects. The adjustable nose piece is made from soft rubber and the same material is found on the inside of the temples. Buyers can choose from a number of lens tints for the Do Flow sunglasses. My test pair features a light brown, category-2 lens which is designed for “forest trail” conditions. In direct sunlight, I found they cut glare, but obviously aren’t the best fit for an exposed mid-summer day ride. I also took them out around 5:30pm for a ride and as I closed out the day around 8:30, I found the lenses transition well from late afternoon to dusk. Overall, the glasses are very light and feel secure. 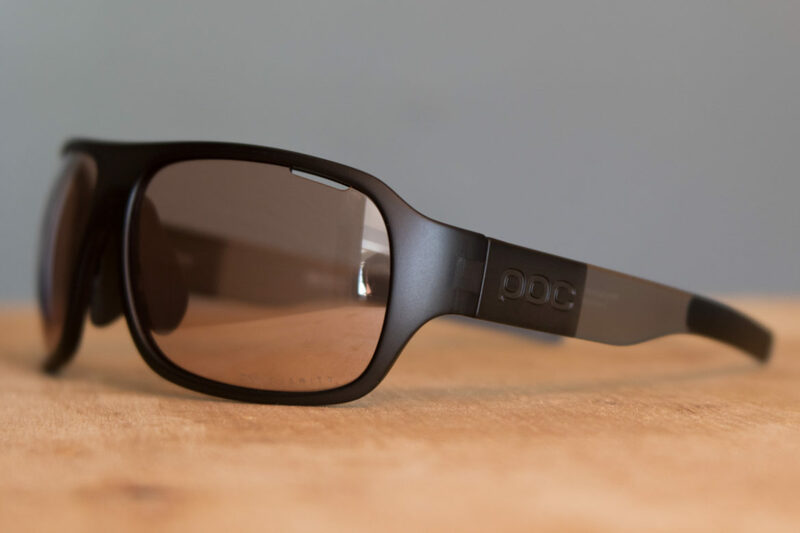 For a middle-of-the-day ride in the summer, I might go with POC’s Grey 13.3 lens, which is designed for bright sun. 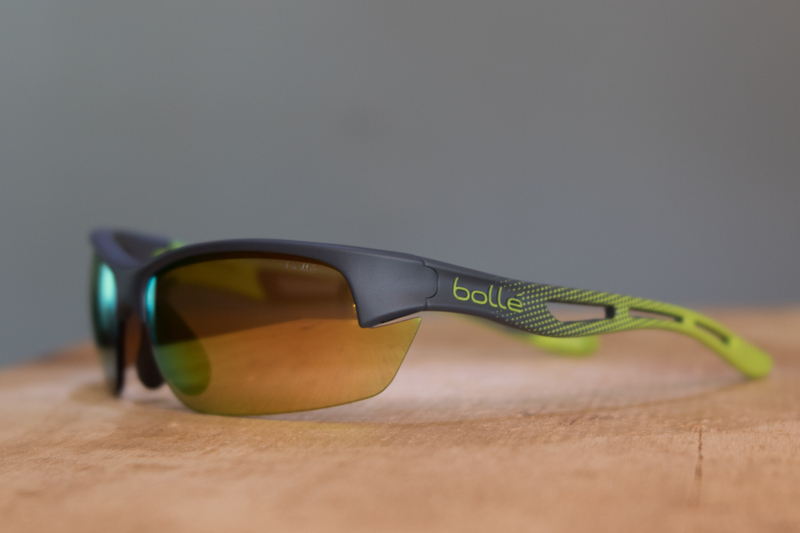 Bolle says the Bolt S sunglasses were designed for cycling and “meet every demand of the sport.” Well, that’s certainly hard to prove, but they’re a great set of shades for riding. The matte finish and color scheme fits the glasses well. Although there aren’t any vents on the lenses, or up front, the lenses themselves are small enough and allow a lot of airflow to come up from beneath. The temples are vented all the way down too. The Bolle Bolt-S. Photo by Matt Miller. Changing the lenses turns out to be a hassle. On a $150 pair of glasses, I hate to forcefully put my oily fingers on the lenses and push them out. 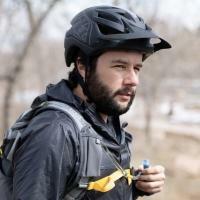 If you only use them in the day, it’s probably not a big deal, but if it’s your one pair and you’re using them for day and night riding, it’s going to be frustrating. There’s actually two lengthy paragraphs of instructions that come with the glasses about how to take the lenses out, and put them back in. These lenses also felt overpowered by the mid-day summer sun. Although they ended up a little sweaty underneath, they stayed planted on my face over rocky rides. 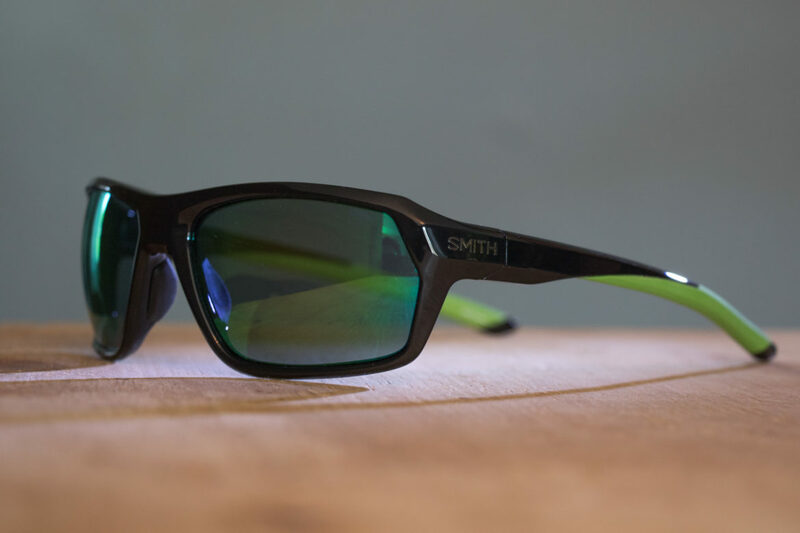 I’d say the Smiths are the most subtly-styled glasses in the roundup and they look good on and off the bike. Smith says they’re “enduro inspired,” although I’m not quite sure what that means. The Smith Rebounds. Photo by Matt Miller. The Rebounds stuck well to my face. The temples are flexy, and the glasses feel like they wrap around your face, rather than having distinct points of contact. The nose piece, although not adjustable, kept the glasses in line with my eyes without any slipping, even with sweat underneath, which was more noticeable due to the lack of any vents on this pair. To be fair, venting has never been very “enduro” though. 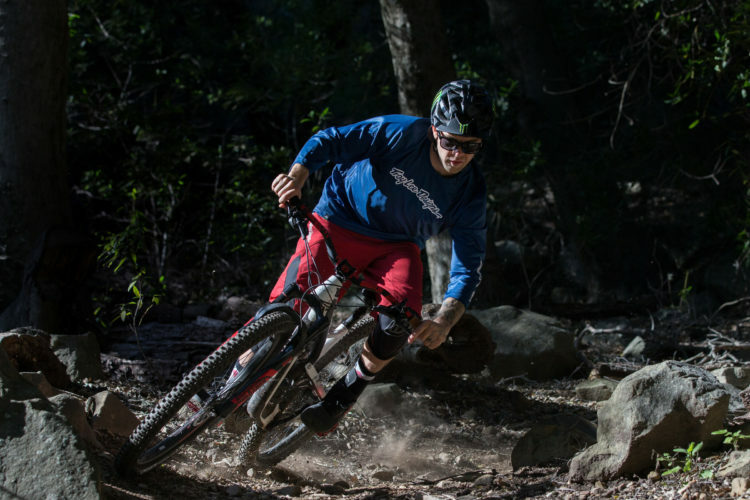 The ChromaPop lens is said to increase contrast particularly when it comes to trail features. I can’t say that trail features stuck out to me more, but I noticed the lenses did an excellent job in bright light, eliminated squinting, and kept the light more consistent when looking at upcoming trail features. They were the darkest lenses in the bunch which made for a great set in the bright sun, although heat and sweat built up under these glasses the most. The Shimano S51X. Photo by Matt Miller. 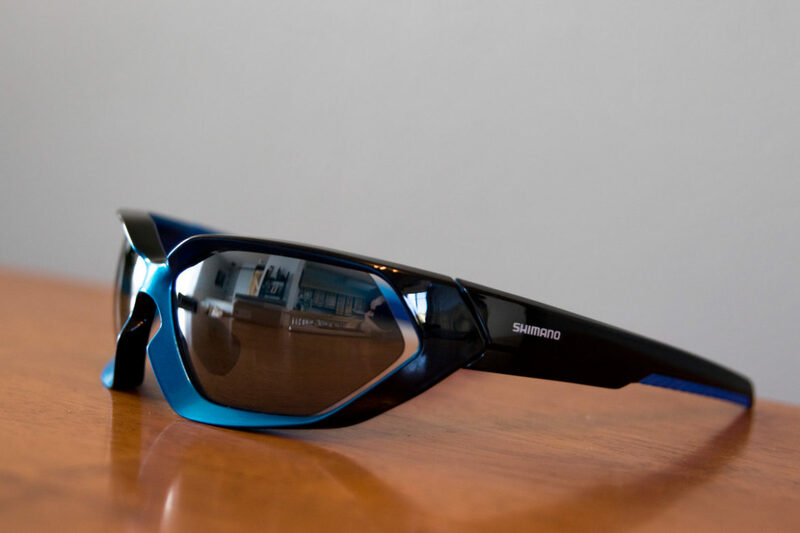 The S51Xs are the most affordable pair of glasses in the group, and still offer the high quality consumers expect from a brand like Shimano. Buyers also get three pairs of lenses with the glasses. The lenses pop out easily and push back in with minimal effort. On the trail, I thought the UV 400 rated lenses were strong enough to minimize harsh light on mid-day rides. The slits on the outer edge of the lenses also let a good bit of airflow in for venting. The Grilamid material feels light, and appears to be tough enough to hold up for a few seasons of riding. I didn’t get along with their fit though. They rested on top of my nose, and then don’t make contact again until around my temples, just above my ears. This resulted in a bit of swinging from the temples, up and off of my nose. The nose piece also wasn’t as grippy as some of the other glasses and slipped more with a little sweat underneath them. If you have older eyes like me and you need readers to see your cell phone or your bike computer while you ride, get Renegade High Performance Fishing Glasses with Magnifier under $25 at Walmart or Amazon. Great quality for the price range and you won’t shed a tear when you leave them at the brew pub after your ride. I ve been shopping the fishing glasses at walmart for years. Most would be suprised at how good of a pair of glasses you can get for less than 20 bucks. Polarized and all. Best of all, theyre cheap, so you dont need to worry about them getting smashed or scratched etc.